Get All-Natural Joint Relief AND Support! Now you can try FlexProtex D™ – the most complete, cutting-edge natural joint support supplement completely risk-free…Just pay shipping! 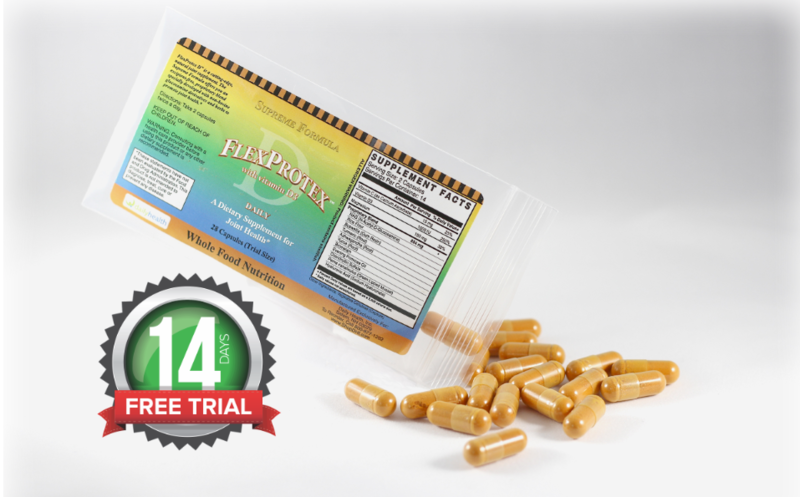 Flexprotex D™ is exclusively manufactured for Daily Health Inc. For a limited time we are offering a “Free 14 Day Trial” (14.95 value) of our amazing Joint support supplement Flexprotex D™, you only pay $4.95 for shipping. Limit one per household. PLEASE NOTE: This is not your typical “Free Trial” where you pay for shipping and in 14 days you get automatically enrolled into an autoship program. We believe in our specially designed joint health blend so much that we feel you will take the trial and be so impressed with the results you will come back for more. No gimmicks, no hidden fee’s. Just a great product! Been taking for years. Wouldn’t go a day without it! !” Mike N.
Offer Valid Until Timer OR Supplies Run Out...Don't Wait! If you’re one of 80 million Americans out there that have arthritis you’re going to want to stay glued to this page. As a matter of fact, if you have fibromyalgia, gout, back pain, hip pain, shoulder pain, you’re not going to want to miss the opportunity to try this incredible revolutionary breakthrough product Flexprotex D. The creators of Flexprotex D™ have been helping joint pain sufferers for over 20 years get relief. Flexprotex D™ is a cutting-edge all-natural joint supplement with 2000IU vitamin D3 daily. Our all-original supreme joint support formula offers you an excipient-free, proprietary blend specially designed with a non-bovine glucosamine derivatives and herbs to promote joint health and may help relieve joint & muscle pain. Maybe you’ve heard of Flexprotex D™ and always wanted to try it like thousands of other happy customers have, but for one reason or another never got around to it, well you are in luck! As part of a special “limited time offer” you can try this powerful proprietary blend Flexprotex D for 14 days – just pay for the shipping. 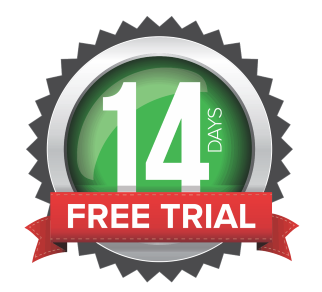 Simply click the green “Click Here to Claim Your Free Trial” button to get started, your joints, aches and pains will thank you! The (cyclo-oxygenase (COX) enzyme) COX-2 enzyme is also necessary for inflammation, a normal, healthy attempt by the body to heal itself. However, when inflammation gets out of control like in the case of arthritis, or other chronic inflammatory disorders; ongoing pain and discomfort is the result. That’s where botanical COX-2 inhibitors can help. Boswellia serrata a cox-2 inhibitor, also known as the Indian version of frankincense, has been used for thousands of years for its ability to manage inflammatory disorders. It is procured from the sap of the Boswellia tree, a native Indian plant. It has also been used to treat arthritis, diarrhea, and pulmonary disease. The resin of Boswellia serrata is used traditionally for a variety of inflammatory diseases, such as rheumatoid arthritis, osteoarthritis, and cervical spondylitis (inflammation of the vertebrae). The main constituents of the resin are Boswellia acids, which have been found to inhibit the synthesis of leukotrienes which are inflammatory compounds produced when oxygen interacts with polyunsaturated fatty acids. Some chronic inflammatory conditions are associated with leukotriene formation. Unlike pharmaceutical corticosteroids which inhibit leukotriene synthesis, Boswellia acids (which is natural/herbal) exhibit no significant side effects or toxicity. Boswellia acids have been found specifically to inhibit 5-lipoxygenase. In a clinical investigation, Boswellia acids were given to more than 260 patients with rheumatoid arthritis. Effective results were found in the reduction of swelling and pain as compared to placebo; morning stiffness was reduced; patients reported cutting back on their intake of NSAIDs during the treatment period; and patients’ general health and well-being showed improvement. The Boswellia acids were found to be effective in reducing the symptoms of rheumatoid arthritis in 50-60 percent of the patients involved in the investigation. Yucca contains chemicals that might help reduce arthritis symptoms such as pain, swelling, and stiffness. Yucca is used for osteoarthritis, high blood pressure, migraine headaches, inflammation of the intestine (colitis), high cholesterol, stomach disorders, diabetes, poor circulation, and liver and gallbladder disorders. Yucca is a medicinal plant native to Mexico. According to folk medicine, yucca extracts have anti-arthritic and anti-inflammatory effects. The plant contains several physiologically active phytochemicals. It is a rich source of steroidal saponins. New Zealand green-lipped mussel might contain chemicals that help decrease swelling or inflammation. Most early research suggests that taking New Zealand green-lipped mussel may help reduce rheumatoid arthritis, osteoarthritis, and asthma. It is also used for cancer and to prevent sore muscles after exercise. N-Acetyl Glucosamine (NAG) is a monosaccharide derivative of glucose, chemically created by combining glucosamine and acetic acid. Glucosamine, one of the building blocks of joint tissue and other connective tissues, is an amino sugar derived from shellfish and used in the treatment of arthritis and other joint conditions. N-acetyl glucosamine has been shown to be a helpful remedy for osteoarthritis, crohn’s disease, multiple sclerosis, anxiety, interstitial cystitis, and ulcerative colitis. Turmeric a COX-2 inhibitor is a natural painkiller and cox-2 inhibitor. May aid in fat metabolism and help in weight management. Has long been used in Chinese medicine as a treatment for depression. Because of its anti-inflammatory properties, turmeric is a natural treatment for arthritis and rheumatoid arthritis. Turmeric is a yellow/orange root, ancient spice and a traditional remedy that has been used as a medicine, condiment and flavoring based on records dating back to 600 BCE. Its medicinal value is essentially due to its curcuminoid content. The curcuminoids inhibit 5-lipooxygenase (LOX) and cyclo-oxygenase (COX), resulting in a well-established anti-inflammatory action. Treatment with curcuminoids was found to be as effective as cortisone in instances of acute inflammation, and about half as effective as these drugs for chronic inflammation. In research on people with rheumatoid arthritis, curcuminoids were found to be useful for reducing inflammation, pain and stiffness. In a double-blind study, curcuminoids were found to be superior to a placebo or non-steroidal anti-inflammatory drugs for alleviating post-surgical inflammation. Bromelain is a protein-digesting enzyme extracted from the flesh and stem of the pineapple plant. Benefits of bromelain include reducing inflammation and swelling, promoting wound healing, easing digestion, reducing muscular or joint pain, benefiting heart health, and reducing allergies or asthma. Past its protein digesting capacity, results have shown that bromelain has anti-inflammatory activity. For example, at least four studies using bromelain have demonstrated its effectiveness in the treatment of minor injuries (bruises, sprains, strains, hematomas, lacerations, abrasions) as well as severe injuries (low back pain, fractures, minor surgery). Research has also shown that this enzyme was effective at decreasing the inflammation and edema resulting from surgery and injury. Furthermore, there have been positive reports in a few clinical trials of bromelain to decrease thrombophlebitis (inflammation of veins) and pain from angina and thrombophlebitis. Research has also shown that bromelain helped patients with rheumatoid arthritis; 73% of whom had good to excellent results. One unexpected application for bromelain anti-inflammatory benefits has been to relieve symptoms of acute sinusitis. In a double-blind study comparing the use of bromelain with placebo, 87% of those patients who took bromelain reported good to excellent results compared with 68% of the placebo group. Other double-blind research has shown that bromelain reduces symptoms of sinusitis. Bromelain does not appear to be a COX-2 inhibitor, and all of its mechanisms of action are still not completely resolved. Nonetheless, it has been demonstrated to be safe and effective. Chondroitin sulfate is used for osteoarthritis. It is often used in combination with other ingredients, glucosamine sulfate, glucosamine hydrochloride, or N-acetyl glucosamine (NAG). Chondroitin sulfate is also taken by mouth for HIV/AIDS, heart disease, heart attack, weak bones (osteoporosis), joint pain caused by drugs used to treat breast cancer, acid reflux, high cholesterol, muscle soreness after exercise, and itchy and scaly skin. Chondroitin is a component of human connective tissues found in cartilage and bone. In supplements, chondroitin sulfate usually comes from animal cartilage. May help reduce pain and inflammation, improves joint function and slows the progression of osteoarthritis. Ashwagandha is an adaptogenic herb that’s popular in Ayurvedic medicine and has been used for more than 2,500 years. It’s actually the most commonly used and extensively researched adaptogen herb. It’s valued for its thyroid modulating, neuroprotective, anti-anxiety, antidepressant and anti-inflammatory properties, which are just some of the many ashwagandha benefits. Ashwagandha is an incredibly healthy medicinal herb. It’s classified as an “adaptogen,” meaning that it can help your body manage stress. Ashwagandha also provides all sorts of other benefits for your body and brain. For example, it can lower blood sugar levels, reduce cortisol, boost brain function and help fight symptoms of anxiety and depression. Evening primrose oil is the oil produced from evening primrose plant (Oenothera biennis, O. biennis) which a biennial herbaceous forb (broad leaved herb), belonging to family of Onagraceae. Evening primrose oil is found to be rich source of essential fatty acid known as gamma-linolenic acid (GLA) which has number of therapeutic uses. It has many health benefits too, such as is used in treatment of rheumatoid arthritis, osteoporosis (weak bones), neurodermatitis (itching disorder), attention deficit- hyperactivity disorder (ADHD), obesity, weight loss and number of gastrointestinal problems (such as ulcerative colitis, irritable in gastrointestinal tract, peptic ulcers). One of the most researched benefits of hyaluronic acid is its ability to alleviate aching joints. Its effectiveness in this area isn’t surprising since hyaluronic acid is especially concentrated in the knees, hips, and other moving joints. It is a major component of both cartilage and the synovial fluid that bathes these joints, binding to water to create a thick, gelatinous substance that lubricates and protects the cartilage. Together, synovial fluid and cartilage act as shock absorbers that can withstand a tremendous amount of wear and tear. However, in joints afflicted by arthritis, hyaluronic acid levels are extremely low, causing the synovial fluid to become less viscous and the cartilage less cushiony. For years, orthopedists have injected hyaluronic acid directly into the synovial spaces of arthritic joints for relief of pain and inflammation. This “lube job” is a pretty helpful treatment, but regardless of its effectiveness, many people shy away from injections. fortunately, research suggests that when hyaluronic acid is taken orally, it increases the body’s natural production of this protective substance, making it an excellent, noninvasive therapy for arthritis. “FlexProtex-D really helped my stiffness — I am now more flexible. And the order was filled very quickly. The price was reasonable in comparison with others.“ Eleanor H.
“Make a huge difference. Recommended to me by my mom. I have gone from barely being able to stand up without pain to not even noticing my joint soreness most days.“ Christine S.